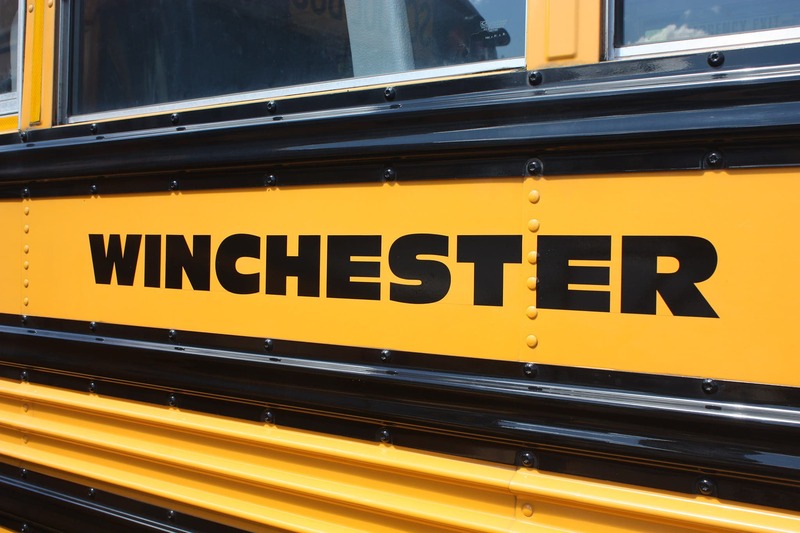 The school bus routes for Winchester Schools are listed under the school that your student will be attending. You can find bus routes here. NOTE: The time for each bus route is the approximate time the bus will make its first pickup in the morning. Adjustments will be made as necessary and as soon as possible. Students should be at their stops 5-10 minutes before the time listed on the bus route. The stop times can vary 5-10 minutes either way, depending on traffic, weather and the number of students riding the bus. The Gilbert School – 7:45 a.m. – 2:29 p.m.
Batcheller Early Education Center – 8:35 a.m. – 3:10 p.m.
Pearson School – 8:35 a.m. – 3:10 p.m. The Gilbert School – 9:45 a.m.
Batcheller Early Education Center – 10:45 a.m.
Pearson School – 10:45 a.m. The Gilbert School – 12:29 p.m.
Batcheller Early Education Center – 1:10 p.m.
Pearson School – 1:10 p.m. If Winchester schools are closed, there is no bus to Oliver Wolcott. If Winchester has a two-hour delay and Oliver Wolcott does not, buses to OWT will operate on a two-hour delay. If Winchester has a scheduled day off, buses for OWT students operate as normal. Oliver Wolcott students are provided a shuttle service from Winchester. Oliver Wolcott students from the outskirts of Winchester are shuttled to Pearson School for transfer to Oliver Wolcott. Students from the center of Winchester meet bus 308 at designated stops. In the afternoon, students are shuttled from Oliver Wolcott on bus 308 to the Gilbert School where they transfer onto Gilbert buses to their designated stops. The safety of students is the priority for All-Star Transportation. Picking children up in the morning to dropping them of in the afternoon. This policy for parents to be present at the bus stop for pick-ups and drop offs reinforces our concerns for safety. Parents are required to be present at the bus stop. If parents are not able to be present at the bus stop, drivers contact All-Star’s Winchester office, which then calls the appropriate school and so that a responsible adult can be authorized to substitute for the parents. Parents are highly recommended to be present at the bus stop. If parents are not going to be present a note to Batcheller or Pearson School stating that the children are allowed to exit the bus without an adult present. Parents are not required to be present at the bus stop. If you normally are present at the stop and are not able to be present, then a call to All-Star Transportation is required.